If you live in Oakland chances are you have visited Tacos Mi Rancho, the “taco truck by the Lake” some late evening after going to a local bar. You probably swear by this truck and love it and go there often. 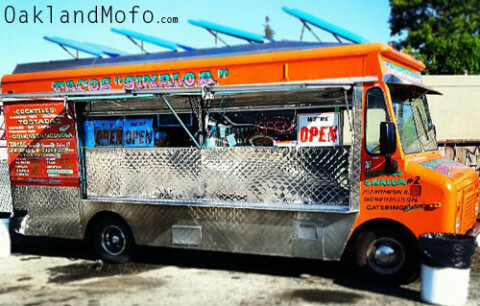 Many newcomers would call it the “Best Taco Truck in Oakland”. Well I used to too. I can say that I have eaten way over a thousand steak burritos from Tacos Mi Rancho. I’ve lived 5 blocks away for over 10 years and went there even before I lived in this part of Oakland. Over the years there were periods where I ate there twice and even 3 times a day. I’m not kidding. So I have seen the rise and fall of Tacos Mi Rancho. It has gone way downhill, the prices have gone way uphill and the lines are ridiculous now anyways. These days I’m seriously almost always grossed out when I get a burrito from there. The burritos drip grease, the meat is often hard and full of gristle, they skimp on good parts and go hard on rice and under cooked beans. It’s just all around nasty. And the chicken burrito is like 15% pure oils of some sort. Eat that thing over a bowl and collect it all. And now it’s $8 for a burrito? They were $3.50 when I started going there. $2 for a normal taco and $2.75 for a super taco? They were $1.25 and $1.75 not too long ago. I guess we can blame Oakland’s minimum wage hike for this one because prices increased everywhere at the same time. I’m baffled that people still say it’s quality. There are so much better options, but you have to drive into East Oakland a little. So much better! I am serious when I say the quality is better. The cheese and rice alone actually has flavor that Tacos Mi Rancho lost a long time ago. The al pastor burrito is the best, it is so mouth watering. Or try a chicken quesadilla, oh my damn. So good. Tacos, yes please! They hook you up. But I do prefer burritos. More fixings! They give you red or green salsa, jalapenos, carrots, radishes and limes. You have to beg for this stuff at Tacos Mi Rancho. Yes it is about 8 more minutes down International Blvd, but isn’t your burrito worth it? The only reason no one goes there is because the mass majority of people who go to Tacos Mi Rancho live in nicer parts of Oakland up and on the other side of Lake Merritt. So they never go down International Blvd or anywhere into East Oakland because they have no reason to. 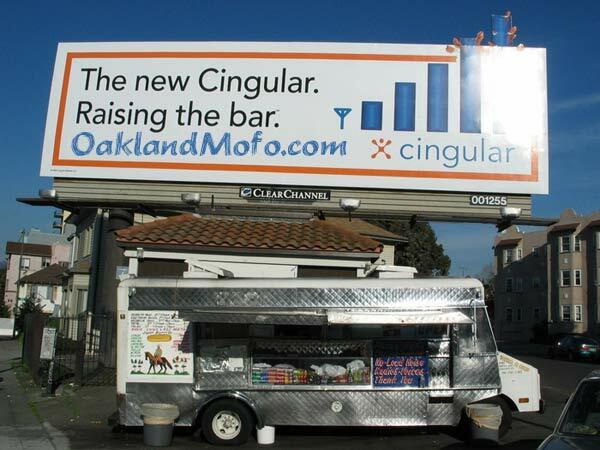 Here this amazing burrito truck not very far into East Oakland and it’s undiscovered by most of you. Please go try it out! Do yourselves and them a favor. They are also open late, pretty much same hours as Tacos Mi Rancho. Photo from my Metro PCS phone of Tacos Mi Rancho in like 2005 maybe? I’m sorry you’ve been weaned on delicate white people tacos and burritos. I’m also sorry that the hard working burrito makers’ sudden ability to make a living wage has interrupted your food truck lust. Tacos mi Rancho will always be the more delicious choice between Sinaloa and mi Rancho. If your burrito is now 8.50 vs 6.50 I can commiserate but you won’t find a better burrito if you ask the Lady of the Lake. She’ll just give you a sword and tell you to quit whining and go to Tacos Mi Rancho. I’m really not sure how this became about “white people tacos” or where those even are but the quality at mi Rancho has tanked. They clearly went for all cheaper ingredients while raising prices. Tacos Mi Rancho is the worst taco truck I have ever been to. Sinaloa is way way way better. This is coming from a Mexican who grew up on Tacos and has eaten them from everywhere between East Oakland, San Diego, Los Angeles, Tijuana, Cancun, Guanajuato, Stockton, and much more. The only type of person who would say such a thing is someone who has never had a superior taco, burrito, or any other type of Mexican food you may eat. The last time I ate at Mi Rancho the burrito was full of grease, had a ton of hard pieces of fat, and was full of rice and beans and not much meat. I would compare Tacos Mi Rancho with Mexican food from Idaho or something. Just not good at all. Every Latino friend I have taken there has said the same. You want a good burrito or taco go to Tacos El Paisa or Tacos El Gordo. Try the Suadero. Sorry for the rant I just could not believe what I was reading. Probably said by a gentrifying white techie. We need to bring the “town” back and get alpha on these colonialistic colonizing muthafuckas and start robbing and punkin’ they asses! Don’t SF Oakland. FINALLY!!! Thank you for saying out loud what I had been thinking for the last year. Sinaloa is awesome.